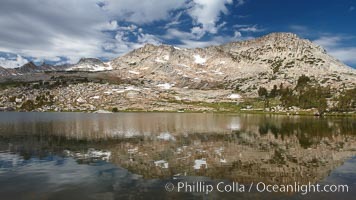 Vogelsang Peak reflected in spectacular Vogelsang Lake, in Yosemite's high country near the John Muir Trial and Vogelsang High Sierra Camp. Vogelsang Peak (11516') was sculpted by glaciers from monolithic granite. 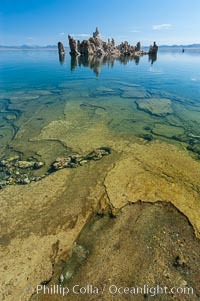 Mono Lake Image. 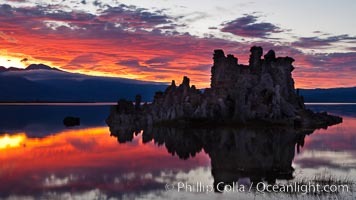 Mono Lake sunset, tufa and clouds reflected in the still waters of Mono Lake. 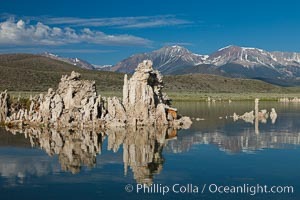 Pictures of Mono Lake. 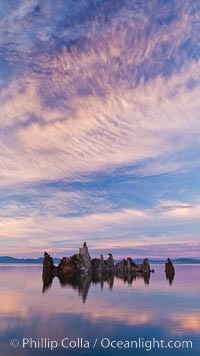 Mono Lake Tufa at Sunset Mono Lake Photo. 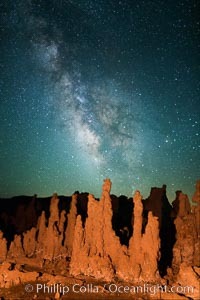 Tufa and Stars at Night, Milky Way galaxy Photograph of Mono Lake. 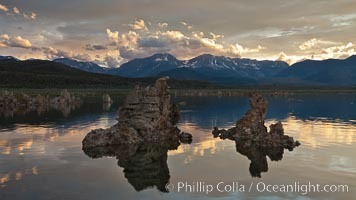 Mono Lake sunset, Sierra Nevada mountain range and tufas, clouds reflected in the still waters of Mono Lake. 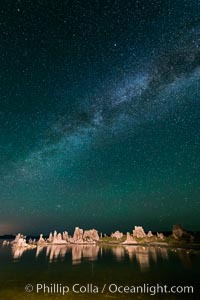 Mono Lake Image. 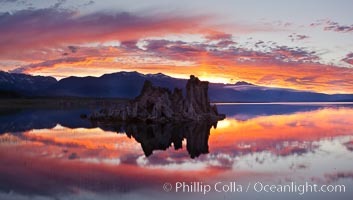 Mono Lake sunset, Sierra Nevada mountain range and tufas, clouds reflected in the still waters of Mono Lake. 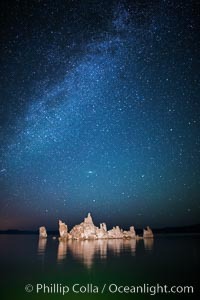 Professional stock photos of Mono Lake. Tufa towers rise from Mono Lake, with the Eastern Sierra visible in the distance. 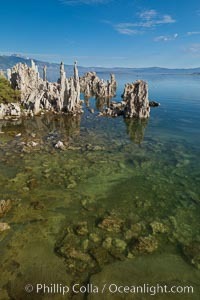 Tufa towers are formed when underwater springs rich in calcium mix with lakewater rich in carbonates, forming calcium carbonate (limestone) structures below the surface of the lake. 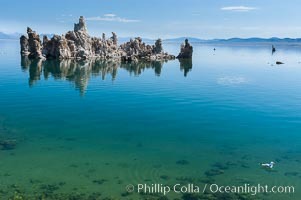 The towers were eventually revealed when the water level in the lake was lowered starting in 1941 Mono Lake Photo. 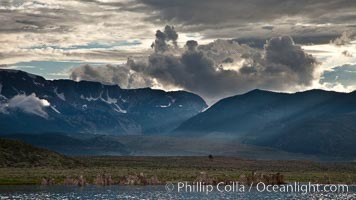 Lee Vining Canyon and the Sierra Nevada mountain range, with storm clouds and sun beams, viewed from Mono Lake. 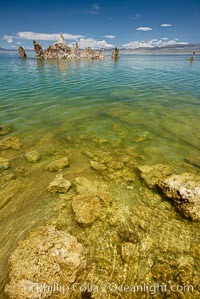 Mono Lake Picture. Tufa towers rise from Mono Lake, with the Eastern Sierra visible in the distance. 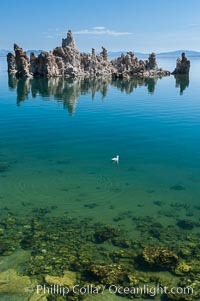 Tufa towers are formed when underwater springs rich in calcium mix with lakewater rich in carbonates, forming calcium carbonate (limestone) structures below the surface of the lake. 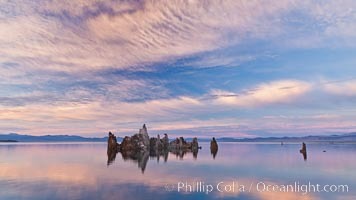 The towers were eventually revealed when the water level in the lake was lowered starting in 1941 Stock Photography of Mono Lake. 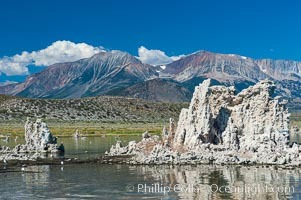 Tufa towers rise from Mono Lake with the Eastern Sierra visible in the distance. 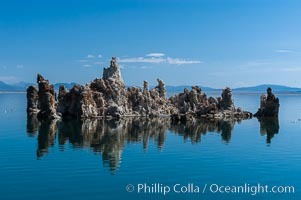 Tufa towers are formed when underwater springs rich in calcium mix with lakewater rich in carbonates, forming calcium carbonate (limestone) structures below the surface of the lake. The towers were eventually revealed when the water level in the lake was lowered starting in 1941. South tufa grove, Navy Beach. 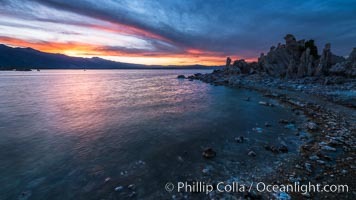 Mono Lake Photos. 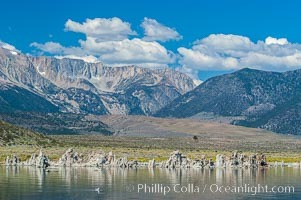 Tufa towers rise from Mono Lake with the Eastern Sierra visible in the distance. 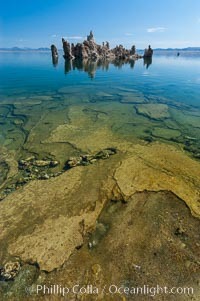 Tufa towers are formed when underwater springs rich in calcium mix with lakewater rich in carbonates, forming calcium carbonate (limestone) structures below the surface of the lake. The towers were eventually revealed when the water level in the lake was lowered starting in 1941. South tufa grove, Navy Beach. 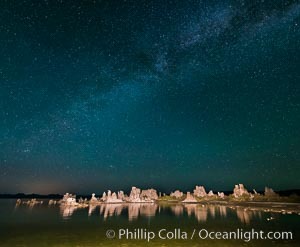 Mono Lake Image. 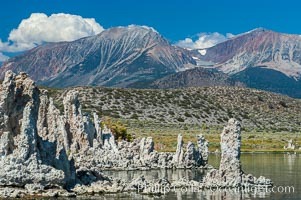 Tufa towers rise from Mono Lake. 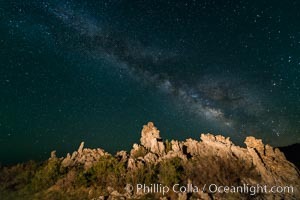 Tufa towers are formed when underwater springs rich in calcium mix with lakewater rich in carbonates, forming calcium carbonate (limestone) structures below the surface of the lake. The towers were eventually revealed when the water level in the lake was lowered starting in 1941. South tufa grove, Navy Beach. 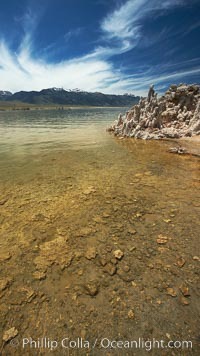 Mono Lake Picture. 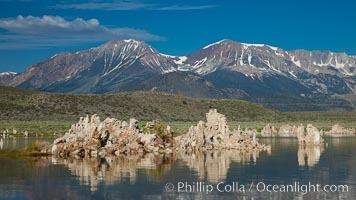 Tufa towers rise from Mono Lake. 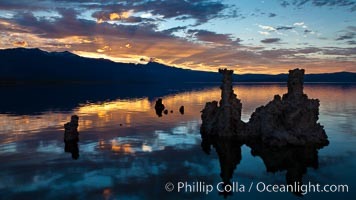 Tufa towers are formed when underwater springs rich in calcium mix with lakewater rich in carbonates, forming calcium carbonate (limestone) structures below the surface of the lake. The towers were eventually revealed when the water level in the lake was lowered starting in 1941. South tufa grove, Navy Beach. 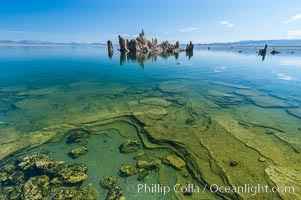 Stock Photography of Mono Lake.